The Passes available to Library patrons provide free or reduced entry to these locations, all of which are open during the summer. Some offer reduced hours during the colder months, while others are closed for the winter. For the most accurate information about hours of operation, special events, and current exhibits, patrons may wish to check online. Passes may be borrowed for 1 day, and may not be renewed. A $10 fee is assessed for each day the pass is returned late. For further information visit the Library or call the adult circulation desk at 877-2211. Please note that passes cannot be reserved more than 24 hours in advance. If a pass is not picked up within 24 hours; the hold will be cancelled to make the pass available to others. A private, non-profit organization, the Museum features over 500 carved wooden birds, representing 259 species. Here, natural history meets art. The woodcarvings depict Vermont’s nesting species in their natural habitats as well as North America’s endangered and extinct species. The pass is good for free admission for one immediate family. It is limited to one use per family per season. Located on the waterfront in Burlington, Echo Lake Science Center and Aquarium offers a variety of permanent exhibits relating to water ecology and the Lake Champlain region. Open year round, the science center offers a variety of activities, summer science camps, and exhibits. The aquarium contains 70 live animal species, offers interactive exhibits, and shows aquatic creatures in daily demonstrations. 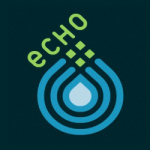 The ECHO at Leahy Center for Lake Champlain Library Pass is available to all our registered patrons. The pass admits up to 4 guests for $7.00 each. This may not apply to all exhibits. Education & Enrichment for Everyone (EEE, formerly Elder Education Enrichment) presents 12 weeks of interesting and diverse programs each Fall and Spring. Each semester includes lectures related to one or more of several themes. They are open to anyone interested in educational experiences without tests, papers, or grades. EEE is a lifelong-learning organization which has served the Chittenden County area for over 25 years. 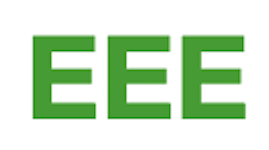 EEE is an independent, non-profit organization led by volunteers and supported by dues, non-member admission fees and donations. They are handicapped accessible and have assistance for the hearing impaired. 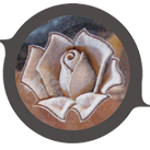 Click on the upcoming event schedule to explore their current offerings. The library’s pass allows 2 adults to attend one lecture for free. The pass may be used once per semester per person. 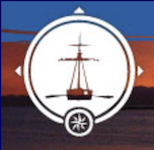 Lake Champlain Maritime Museum uses the active discovery and care of Lake Champlain’s maritime heritage and environment as a launching pad to inspire life-long learning through hands-on, mind-on experiences. The Museum’s 4-acre campus at Basin Harbor is open from May through mid-October. Educational programs for schools and community groups are offered all year. LCMM has been a leader in the management of historic shipwrecks and underwater cultural resources, and innovative maritime education for more than 30 years. The pass permits one immediate family free admission. 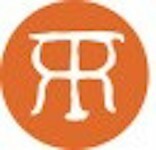 Rokeby Museum presents a nationally significant Underground Railroad story tucked inside a quintessential Vermont experience. A major new exhibit — Free & Safe: The Underground Railroad in Vermont — brings the Underground Railroad vividly to life. Focused on Simon and Jesse, two fugitives from slavery who found shelter here in the 1830s, the exhibit traces their stories from slavery to freedom, introduces the abolitionist Robinson family who called Rokeby home, and explores the turbulent decades leading up to the Civil War. The historic house — fully furnished with 200 years of domestic belongings — provides an intimate glimpse into the family’s life through four generations. Once a thriving Merino sheep farm, Rokeby retains nine historic farm buildings filled with agricultural artifacts. Acres of pastoral landscape dotted with old wells, stone walls, and historic orchards invite a leisurely stroll or a hike up the trail. Picnic tables accommodate lunch outdoors. The pass permits a party of up to 4 people to tour the museum for $4.00 each. Located south of Burlington, on Lake Champlain, Shelburne Farms is a magnificent working farm and an environmental education center. Established in 1886 as a model agricultural estate, on 1,400 acres, it integrates education, agriculture, forestry, and historic preservation with tourism. There are extensive walking trails throughout the property which are open year round; they offer beautiful views across the lake to the high-peaks region of the Adirondacks, and east into the Green Mountains. There is a “factory” which produces cheddar cheese, and a farm stand which sells the farm produce, cheese, and bread. During the summer there are special family activities, such as concerts, draft horse field days, cookouts, and even mushroom foraging expeditions. This is not like any farm you have ever seen; it is a showpiece, and well worth the drive for a day of agricultural exploration. 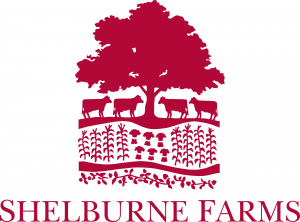 Shelburne Farms annually donates two passes to the Bixby. Each pass is available to our registered patrons and entitles two adults and their children (under 18) living in one household to free admission to the Walking Trails and Children’s Farmyard ONLY. The passes will not grant access to any of the special programs offered. Thank you to Shelburne Farms for donating these passes to the Bixby. Shelburne Museum is an unparalleled and unique experience of American history, art, and design. Designed to allow visitors the pleasure of discovery and exploration, the Museum includes thirty-nine distinct structures on forty-five acres, each filled with beautiful, fascinating, and whimsical objects. Come play in their gardens and open their many doors. Our circulating Shelburne Museum pass offers half-price regular admission. Thanks to the Ferrisburgh Historical Society for providing this pass to the Bixby. 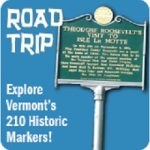 There are a variety of Vermont Historic Sites located throughout the state, including scuba dive sites in Lake Champlain, and historic buildings such as the Bennington Battle monument, Justin Morrill homestead, Calvin Coolidge farm, and Old Constitution House in Windsor. There are extensive special events at these various locations throughout the summer, so it is best to consult their website for weekly offerings. This pass provides free entry for families or groups of up to 8 people. All passes can be checked out at our Front Desk for three days at a time. There is a $20 fee for each day the pass is not returned after it is due. This complimentary library pass is good for admission to the Vermont History Museum located in Montpelier, Vermont. The Vermont Historical Society Museum in Montpelier “is the only organization in Vermont that collects artifacts, books and documents that reflect the entire history of the state.” The Museum includes a full sized Abenaki wigwam, a recreation of the Catamount tavern where the Green Mountain boys gathered, a railroad station with working telegraph, and a WW2 living room furnished with period music and magazines. There is also a gift shop. The museum is open Tues-Sat, 10-4, year round. The Leahy Library in Barre has an exhibit titled Freedom and Unity, which tells the history of Vermont from 1600 to today, and explains the state motto. The library is open Tues-Fri 9-4. Weds they are open until 8 pm, and Saturday hours are somewhat unpredictable, so it is best to check their website for Saturday openings. The pass admits four to the Vermont Institute of Natural Science (VINS). 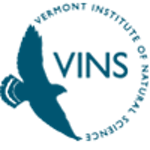 VINS Mission: Motivating individuals and communities to care for the environment through education, research, and avian wildlife rehabilitation. 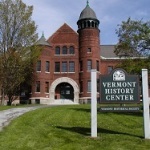 Located within an authentic turn-of-the-century granite manufacturing plant, the Vermont Granite Museum’s mission is to create stimulating, interactive environments for learning about the geology, technology, history, and art of Vermont’s unique granite heritage art, industry, capabilities and cultural heritage. 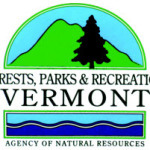 Scattered throughout the Green Mountain State, there are 52 Vermont State Parks offering a variety of activities, from swimming, boating, and hiking to photography and even gold panning. The pass offers day-entry into any park for up to 8 people.